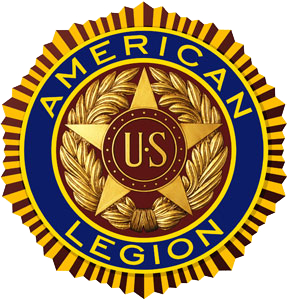 NEWINGTON - The Newington 19U American Legion Post 117 shut out first place Tri-County 6-0 Wednesday afternoon at Legends Field. Mike Sobolewski pitched a complete game for Newington allowing just three hits, one walk and struck out five batters. Newington got the board in the second inning, as Josh LeClair and Anthony DeBlasio each drove in a run with a base hit to put Newington ahead 2-0. Newington manufactured a run in the third when Sobolewski walked stole second and third and scored on Jordan Brunetti’s sacrifice fly. Newington added three runs in the sixth to close out the game. With the win Newington improves to 2-4 and Tri-County falls to 5-2. Newington 15U 12, RCP 6: Newington's 15U Post 117 American Legion team had plenty of offense Tuesday afternoon including an eight run fifth inning to defeat RCP 12-6 on Tuesday at Legends Field in Newington. Austyn Howe had a big day at the plate with three hits including a bases clearing triple that put Newington up 9-5. Howe finished the day with 4 RBI. Sean Hurley also had three hits for Newington with a double and a RBI. Abel Collado, Hank Penders and Jesus Cintron all had two hits for Newington. Alex Bugnacki added a double and drove in a pair of runs. Bugnacki got the win in relief for Newington. He pitched 4 2/3 innings, allowing two runs and striking out 9 batters. Newington improved to 3-1 on the season and RCP falls to 3-4. Posted in New Britain Herald, General Sports, Newington on Friday, 22 June 2018 20:08. Updated: Friday, 22 June 2018 20:10.